Ramada Pincher Creek - a Ramada Best of 2010 Award Winning hotel - is located just off of Highway 3 on Highway 6 and within easy driving distance of Waterton Lakes National Park. Learn about early Alberta pioneer life at the Kootenai Brown Pioneer Village, located in Pincher Creek. Check out the antique farm equipment at Heritage Acres Farm Museum. Whether you are in town on business or pleasure our hotel is just minutes away from all major attractions. Stay here while visiting the area - Waterton Lakes National Park, Frank Slide Interpretive Centre, and Castle Mountain Resort. Make the Ramada Pincher Creek your choice for the Southern Alberta region when visiting Fort McLeod, Crowsnest Pass, Head Smashed in Buffalo Jump. All guest rooms at the Ramada Pincher Creek, are beautifully appointed with free high speed internet, microwave, fridge, large work desk, coffee makers, hair dryers, irons and ironing board. 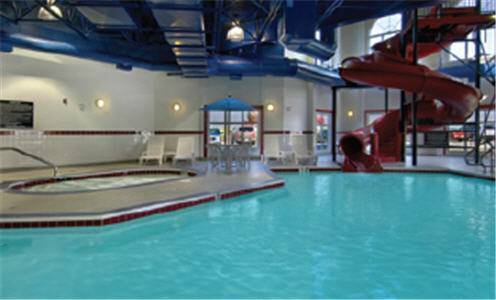 This Ramada property also features a complimentary continental breakfast, meeting room, state of the art fitness centre, business centre, coin operated guest laundry and indoor pool with waterslide and hot tub. Pets accepted at 15 Cdn per pet, per day.